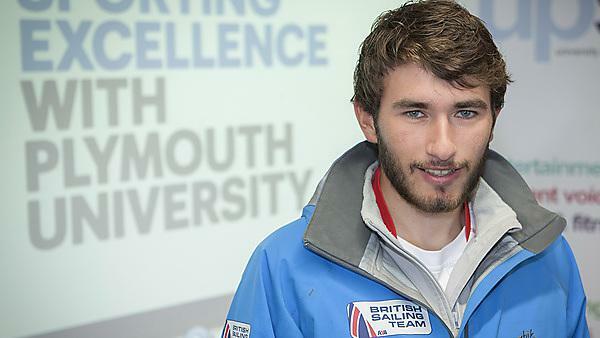 Plymouth University sailor Lorenzo Chiavarini has been crowned the Under-21 Laser World Champion just one month after winning the European title. The 11-race series, held over eight days, including just over one hundred competitors culminated in Douarnenez, France. Lorenzo, who has also previously won the British University and Colleges Sport (BUCS) sailing competition, enjoys a tough challenge. My ultimate goal has been to continue to represent Team GBR internationally in World and European Championships in the run up to the future Olympic Games so it’s great to have kept the momentum going achieving my third gold. He was awarded his first gold in the European Under-19 championship in 2012 and his second in the European Under-21s in July this year. Lorenzo plans to continue training and competing in preparation for Rio 2016, with his next race – the senior ISAF Sailing World Championships at Santander – on 21 September.